The mechanical technology currently used in modern heat pumps is a comparatively recent innovation; the geothermal notion of this principle of physics has been used since ancient times, one example being the use of geothermal power in hot springs, used to pump warm air into cool areas in China and Europe hundreds of years ago. In 1748 William Cullen demonstrated artificial refrigeration which can be noted as the beginnings of the heat pump’s scientific principle. Lord Kelvin developed the idea in 1852 and is commonly held responsible for the scientific concept. 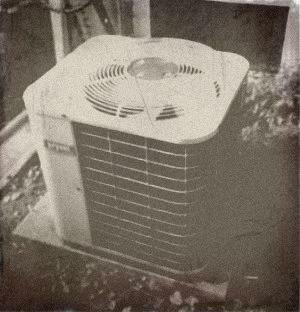 In 1855-1857 Peter von Rittinger developed and built the first heat pump system. Some years later Robert C. Webber is credited as having developed the first ground source heat pump during the late 1940s. Robert C. Webber, an American inventor came up with the idea for a ground source heat pump when he was experimenting with his deep freezer. He accidentally burnt his hands when touching the outlet pipes of the cooling system and he decided to see if the mechanics could be reversed. “He connected the outlet piping from a freezer to a hot water heater and, since the freezer was producing a constant excess heat, he hooked up the heated water to a piping loop”. Then Webber used a small fan to propel the warm air in the building. After he saw that his invention was successful, he built a full size heat pump to provide heat for his entire home. His design used copper tubing buried in the ground through which he ran Freon gas to gather the ground heat. The gas was condensed in his cellar, gave off its heat and forced the expanded gas through the ground coil to pick up another load. Today heat pumps are considered the most efficient and cost effective heating in the market place. They are remarkably environmentally friendly and they can drastically reduce your carbon footprint and energy bills. They offer an ideal way to heat your property and produce hot water whilst saving money and the earth’s precious resources.